We are pleased to announce the launch of a new website for our client John School of Motoring. The site is built specifically with Google and more importantly the end user in mind. 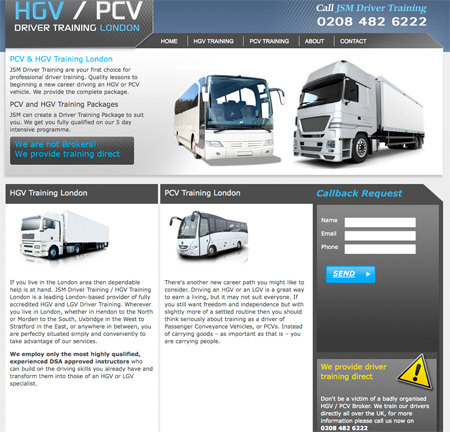 Targeting the key phrases HGV Training London and PCV Driver Training London, with the main purpose of providing good quality professional driver training. For anyone looking for a career in the driving industry.